The San Francisco Bay Area is a city rich in culture and history. Let us take you on an exciting journey in luxury transportation to all the famous landmarks and attractions that this beautiful city offers. Twin Peaks provides a breathtaking 360 degree view of the Golden Gate Bridge, Alcatraz, Angel Island, Yerba Buena Island, The Bay Bridge, Berkeley, Oakland, and the entire downtown San Francisco! Alamo Square is known for it's famous row of Victorian homes which you have commonly seen featured on TV, magazines and advertisements. 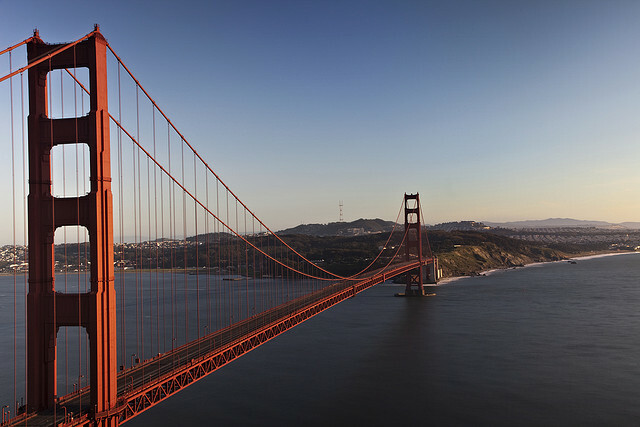 Golden Gate Bridge is the most iconic symbol of our city and the most photographed city in the world. One of the best places to photograph is at Lands End and Baker Beach. Golden Gate Park is one of the world's largest and developed parks with renowned attractions as the California Academy of Sciences, Japanese Tea Garden, and De young Museum. Fisherman's Wharf, or Pier 39, is San Francisco's #1 attraction. Renowned for its sea lions, Aquarium of the Bay, and it's marketplace of 110 stores and 12 restaurant, it is a fun spot of any ages! San Francisco Chinatown is the largest Chinatown outside of Asia as well as the oldest Chinatown in North America with its establishment in 1848. Call us today at 415-801-3355 or fill out the form to the right to get our full tour of San Francisco set up. Our helpful and knowledgeable staff is here to help plan an unforgettable trip of our beloved city!